Chef Ben Tunnicliffe’s pub, The Tolcarne Inn in Newlyn, will host a ‘Feed The 300’ celebration this November to mark the 300th birthday of the historic maritime inn. During the month, 300 guests will dine on a three-course menu featuring Ben’s favourite dishes from a career in cooking, with Cornish seafood playing the starring role. Tables are available every Wednesday and Thursday evening throughout November. £28 per person, including recipes for recreating the dishes at home and a £10 voucher for next time. This play follows the emotional journey of a group of girls as they aim to speedwalk their way to fundraising success in the London Moonwalk, while also enjoying a girly weekend away in the capital. Trainers and wildly decorated bras are in, high heels and designer labels out – but a last minute substitute to the team doesn’t meet the physical criteria! He’s a jaw dropping guitar player who has developed a unique percussive style, teamed up with a powerful show stopping voice, and has been called “The Welsh Springsteen”, but there are also shades of John Mayer, Bruce Cockburn and Dave Matthews – though Martyn stands in his own right, built on a reputation for giving what thousands have described as the best live music experience of their lives. Award-winning Wadebridge pub, The Ship Inn, will be serving up a menu of dishes inspired by Bangladeshi cuisine, in recognition of ShelterBox’s ongoing work in the country. Guests can dine from 5-9pm for £16.52, including a £5 donation to ShelterBox. Former Fifteen head chef, Andy Appleton is hosting an Italian feast evening at his restaurant, Appleton’s at the Vineyard to support the Shine for ShelterBox appeal. The event is ticketed, with all proceeds going directly to ShelterBox. Kicking off at 7pm, guests will enjoy a spectacular 5-course tasting menu (£45pp) with an optional wine flight (£30pp). The Old Coastguard hotel in Mousehole is a classy joint and the artists and makers showcased at this Winter Fayre are some of west Cornwall’s classiest acts too. Expect a range of bespoke, locally produced homeware and prints from the likes of OAT design, Kiwi Printmaking Studio, Rebecca Harvey Ceramics and Helena Star Design. Jewellery and scarfs from Deer & Shine and Ebb&Flow Cornwall. Produce from Wild Smoked Ltd, Sarah & Finn’s Home Made Relishes, and Made At Home cordials, flowers and wreaths by the very talented Ruby Alice Floral Design. Not to mention The Old Coastguard stall selling The Cornish Seaweed Bath Company, Bramley Products, and their own cakes, bread & jam. A charity raffle will be raising funds for Friends of Jubilee Pool. Every Friday night through autumn and winter, Newquay beach venue Lusty Glaze will be hosting its chilled out Woodburner Sessions. 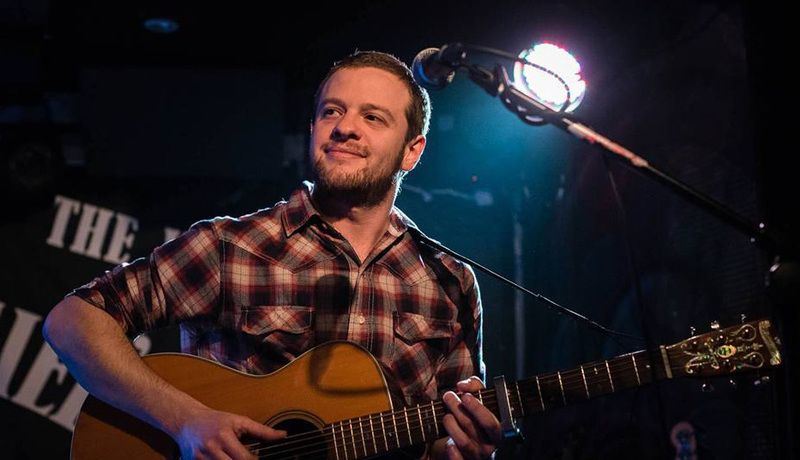 Up this week is Chris Webb, a young singer/songwriter of folk-style melodies with upbeat, intricate guitar work. Transparent Water is an exquisitely beautiful new collaboration between the seven-time GRAMMY-nominated pianist, composer and bandleader Omar Sosa from Cuba, and the award-winning Senegalese kora master and singer Seckou Keita. Following the worldwide release of their debut album Transparent Water on 24 Feb 2017, the pair are taking to the road in together this November with percussionist Gustavo Ovalles to give UK audiences a thrilling live experience of their new recording. Something new and a first – Ben and the team, together with their friends at MahaMasala are hosting a warming, pop-up Curry Night. At Ben’s Sennen Cove restaurant, they will be offering an exciting pop-up Indian dining experience with fabulously warming traditional Indian spices and flavours to tempt you to this autumn evening. A new venue to know about, hosting an exciting mix of feasts, workshops and live music events. This affordable feast night is all about Mediterranean-inspired food. 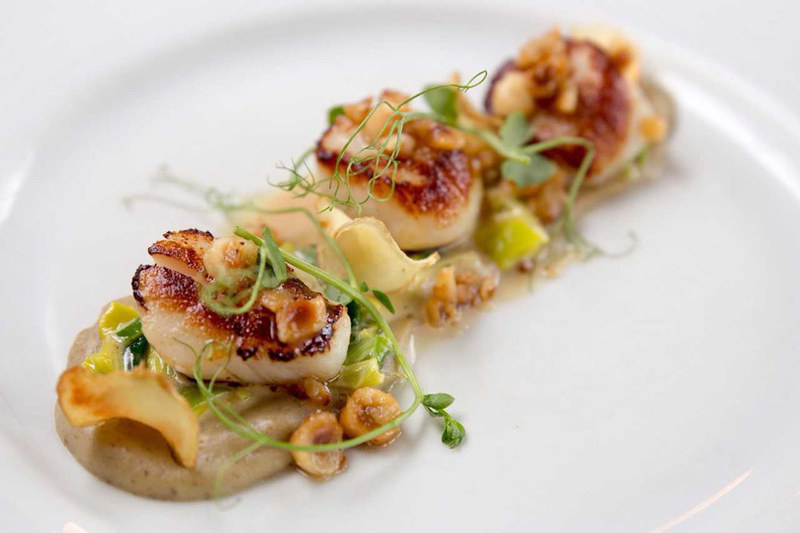 Paying special attention to the ingredients, renowned chef Liam Smith-Laing is all about using local produce and marrying the right tastes to create something, quite simply, delicious. Guests will eat by candlelight with the woodburner warming the barn. £25pp. Outlaw 2017 is all about celebrating creative spirit! Over two days, this special event will showcase 70+ independent creative designers, makers and producers selling handmade and independently produced fabulous stuff, in The Sports Hall on the Penryn Campus of Falmouth and Exeter Universities. There will also be a whole host of creative workshops, a packed demo timetable and a ‘Make and Take’ area where you can get creative! Plus food, drink and live music. Entrance is £3pp (under 16s FREE). FREE car parking is available on site. A weekend of exciting film from Cornwall and beyond. The theme for this year’s Cornwall Film Festival held at The Poly, Falmouth is Discovery; encouraging the visual, theoretical and practical exploration of ideas through film culture. Expect masterclasses, speakers, director Q&A’s, an International film programme and showcase of exciting homegrown talent. 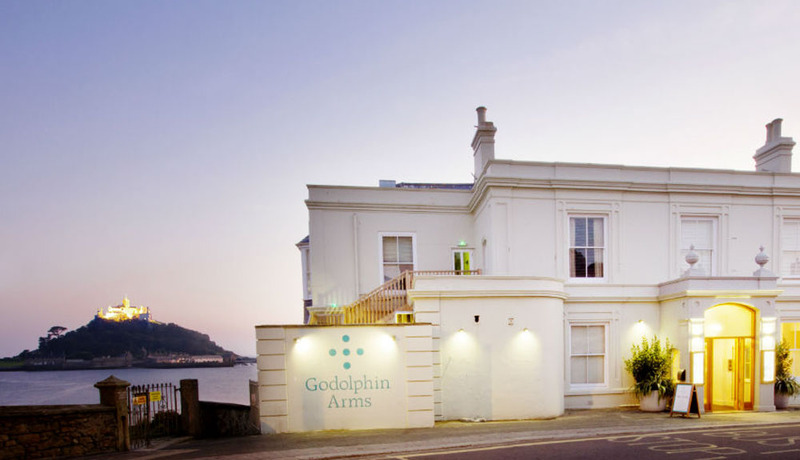 Godolphin Arms head chef, Nick Eyre is planning a Caribbean feast by candlelight for their first Shine for ShelterBox evening. There will also be a raffle, to raise funds, a talk from a member of ShelterBox ,who has recently returned from overseas and live entertainment from Slapdash Trio. Tickets cost £26.87 pp. The ground-breaking European and African based collective – formed by producer Simon Emmerson – perform music from new album The Source, their most ambitious record to date. They deliver exhilarating live shows that range from full-on club energy to moments of intimacy, taking their cross-cultural collaboration and acclaimed live performances to another level. The only Cornwall date on Winter Mountain’s UK full band tour is at at James Church, St Kew as part of the Harbour Sessions. Winter Mountain blends melodic songs, an amazing band, an extraordinary voice and heartfelt lyrics in a sound reminiscent of a time before digital recording, when the emphasis fell on the importance of the live performance and the essence of the song. Sadie Horler and The Woodcarts are supporting. Early bird tickets are £10. The 3 Daft Monkeys Year of the Clown Tour Bringing vibrant and sparkling new songs from their recently released album Year of the Clown. Festival favourites 3 Daft Monkeys will perform a brand new set of their quirky, original and upbeat fiddle-driven tunes. Now with a 4-piece line-up, the band is taking their famously dynamic live show to new danceable dizzy heights. The first indoor Silent Disco Yoga session of the season hosted at the Carnmarth Hotel event space. 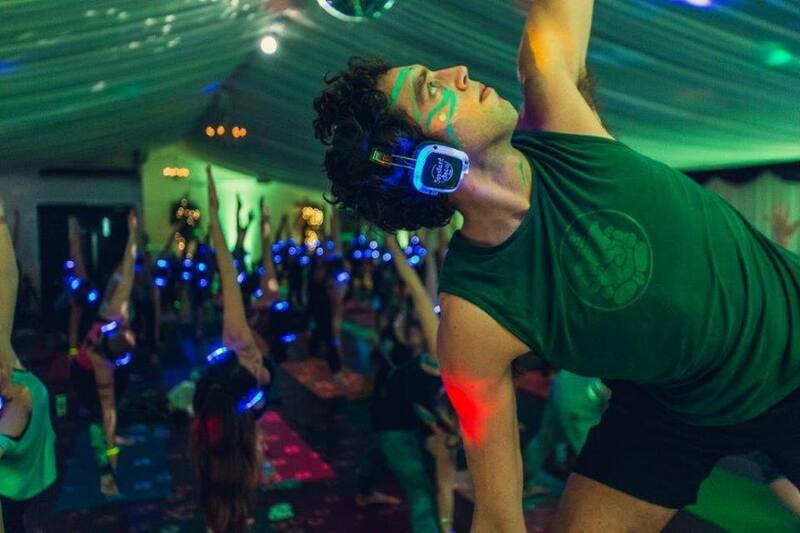 If you’re a Silent Disco Yoga virgin, think 100+ yogis of all ages and abilities coming together to practice yoga whilst listening to the sound of euphoric beats, guided by one of the amazing teachers from Muddy-award-winning Oceanflow Yoga through the headphones. £12pp, bring a mat or rent one for £1.